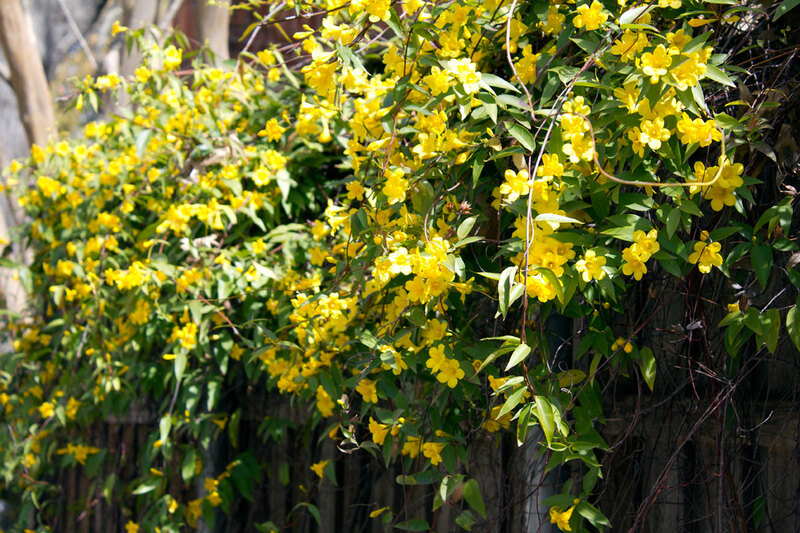 Carolina jessamine. The jessamine vines are blooming right on schedule, and if it weren’t for my allergies, I would be able to enjoy their sweet scent. Last winter’s extreme and extended freezes damaged most of that year’s blooms. And then with the past year’s four months of triple digit temperatures, I lost two vines while another two were partially wasted. Considering the setbacks, the survivors are giving quite a show. Candytuft. This one was just planted this past summer, so I’m not sure if it’s suppose to be blooming now. According to what I read on the internet, this perennial is considered to be a late-spring bloomer, but there are some folks who say theirs bloom before the daffodils. 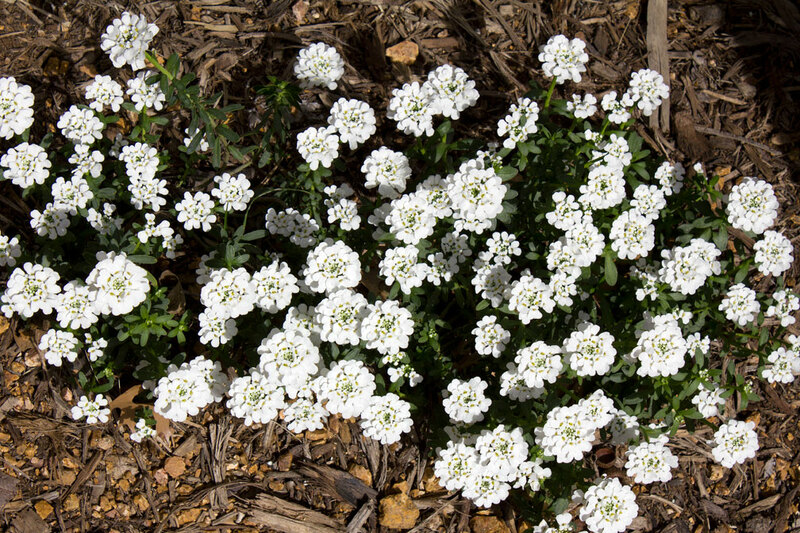 The Candytuft is an extremely hardy evergreen sub-shrub that prefers full sun, but will tolerate some shade as long as it’s planted in well-drained soil. If you’re curious to know what it looks like, click on the link below.